LG V30 handset has launched by the company at the annual IFA 2017 in Berlin. The latest V30 having equivalent features of Apple and Samsung. 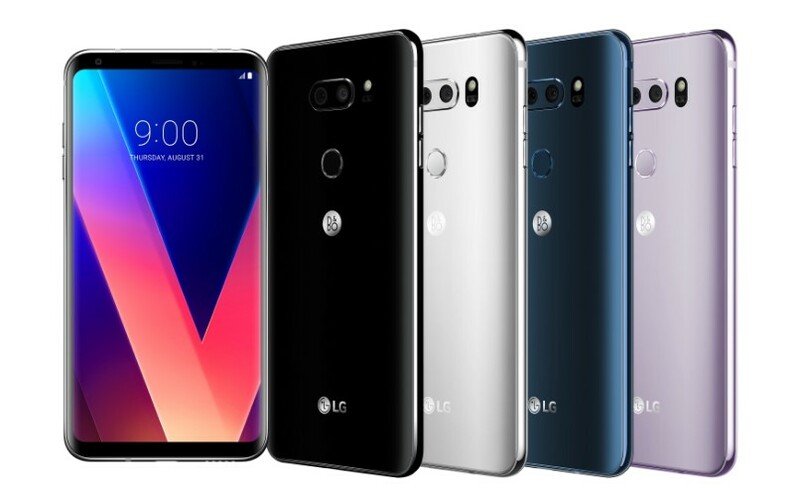 The LG V30 is the smartphone from the success of V20 flagship. While the Samsung Galaxy Note 8 having the similar features which released in New York on last week of this August 2017. The LG V30 will be out for the public as first for the people of South Korea from September 21. Then it will be available on countries in North America, Asia, Europe, Africa and the Middle East. The latest version of V-series is available in four different colour options such as Aurora Black, Cloud Silver, Moroccan Blue and Lavender Violet. Also there are two variants in-terms of internal storage, one with 64GB which is available widely across all the countries as soon. The another one is with 128GB storage which is available only limited countries. The external memory storage can expand up to 2TB through microSD card slot. The V30 had the support of Android 7.1.2 Nougat. While the Android Oreo has launched and will available as first on Google Pixel is notable. The biggest plus of LG V30 is the display, it comes with a 6-inch, 2,880 x 1,440, resolution plastic P-OLED display. Also, the display supports the High Dynamic Range 10 content. About the processor of the phone, it runs by using the a Snapdragon 835 processor with 4GB RAM. The battery of V30 works with the capacity of a 3300mAh, it is not removable flagship. Wireless charging feature and the USB Type-C also helps for the fast charging. Also upgraded on audio of the LG V30 flagship with the help of Hi-Fi Quad DAC. About LG V30 cameras: It comes with the dual-camera with an aperture of f/1.6, it lets the users in more light for brighter and dynamic shots. The primary camera of the phone is 13MP and the selfie front facing camera is 5MP. The V30 is the dust and water resistant (IP68) to a depth of 1.5 meters for up to 30 minutes.